Lagos, Nigeria - 15 August 2012: Mobile advertising network, Twinpine has today announced it has been nominated for a 2012 Meffys award. The Meffys are amongst the most coveted awards in the mobile industry, recognising brands, start-ups and individuals who have helped shape the mobile content and commerce industry. Twinpine, which this month celebrates the end of its first commercial year, is shortlisted in the ‘Innovation in a Growth Market’ category. Twinpine has been recognised for its mobile advertising network offering which helps brands place the right ads with the right audience and publishers build mobile sites that attract a large amount of traffic and realise the potential of online advertising. The nomination acknowledges the unique mobile ad model developed by Twinpine to ensure the best results possible for its customers. The African mobile market is on the cusp of a period of unprecedented growth. It is predicted that by 2013, the country will have 735 million mobile users. In Nigeria alone, more than 50% of the population is under 20 years old, which means that more than half the country’s population will be in the most desirable target audience segment for brands around the world. Twinpine aims to help brands and publishers make the most of this mobile boom. “We are also focused on helping brands and publishers reach the right audience and deliver higher conversion rates. We are delighted that this approach has been recognised by the Meffys and we eagerly await the final results,” added Mr Umeh. 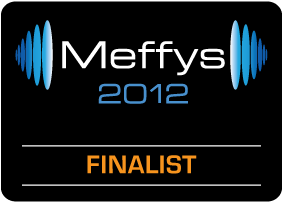 The Meffys are judged by expert panels of independent journalists, analysts, academics and VCs. Results will be announced at a ceremony held at The Park Lane Hotel, London on September 12, 2012. For more information about Twinpine or to arrange a briefing with Elo Umeh, Twinpine CEO and co-chair of the Mobile Marketing Association West Africa, please contact twinpine@harvard.co.uk or call +44 (0)207 861 2844.